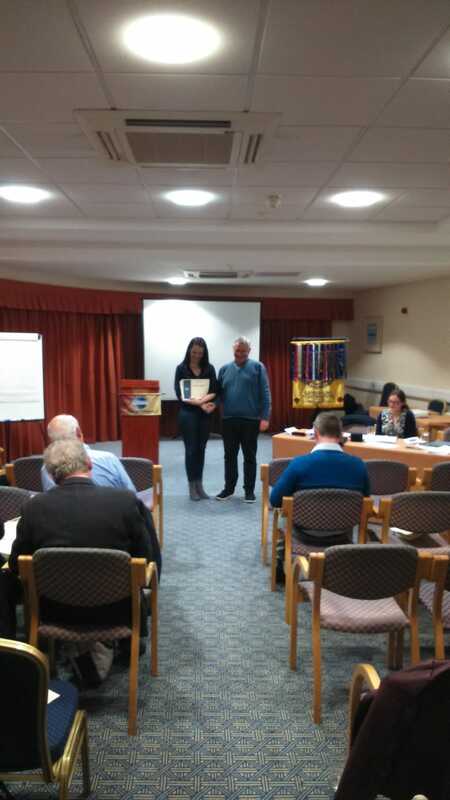 The Area Final of the International Speech Contest and The Evaluation Contest took place in the newly refurbished Carrigaline Court Hotel, Carrigaline, Co Cork. Contestants from the host club (Carrigaline Toastmasters) along with members of Cork Toastmasters, Douglas Toastmasters and Republic Of Work Toastmasters competed for the opportunity to represent the Area at the Division Finals. Competition was intense, with many experienced Toastmasters competiting for the top spot, including Anthony Galvin, Michael Sexton, Aidan Coaley, Ros Longwill, Christine O’Hara, Eddie Fitzgerald, Shane O’Sullivan, John Keating, Tommy Lally and our very own Holly Blake, Kevin O’Donovan, Carmel Clancy and Deidre O’Mahony. It was a double win on the night for Carrigaline with Holly Blake winning the International Speech Contest and Deidre O’Mahony winning the Evaluation Contest. We wish them the best of luck for the next round! Guests are welcome to join us for our next club meeting. For more information on Carrigaline Toastmasters find them on Facebook or contact Deirdre on 0879959547. Their next meeting is on Monday 15th April at the Carrigaline Court Hotel, at 8 p.m. They meet alternate Mondays. Meanwhile, one of Carrigaline’s members Philip O’Byrne is directing a play entitled “Cash On Delivery” at The Inkwell Theatre, Traction. The final three shows are on Friday 12th, Saturday 13th and Sunday 14th April. This comedy comes highly recommended. Tickets can be booked at 089 9730635.